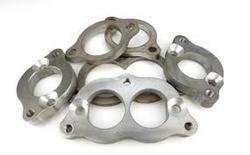 Pioneers in the industry, we offer casting parts, aluminum casting parts and cast aluminum parts from India. We are well Established Manufacturers, Suppliers & Exporters of Casting Parts. These are available in different specifications & extensively used in various industries. We are highly appreciated in the market for our collection of Aluminum Casting Parts. These are manufactured using high grade raw material in compliance with the industry standards. The offered products are widely used by many industries for mounting all sizes and types of main and auxiliary machinery. Our products are widely acknowledged for their attributes such as. We are manufacturer & supplier of Cast Aluminum Parts. These are manufactured using high grade raw material in compliance with the industry standards. The offered products are widely used by many industries for mounting all sizes and types of main and auxiliary machinery.